Guard Giddy Potts brings the ball across half-court. 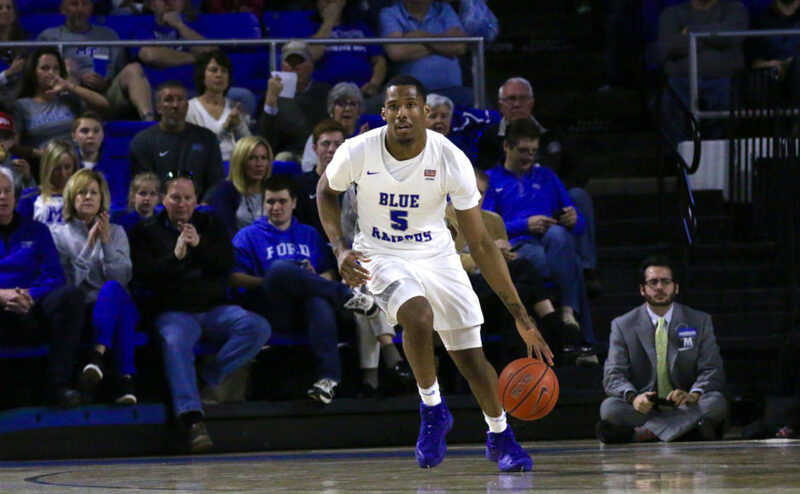 The Blue Raiders defeated the Rice Owls 87-73 at the Murphy Center on Saturday, January 23, 2016 (MTSU Sidelines/Sarah Grace Taylor). The Blue Raiders traveled to Oxford, Mississippi to take on Ole Miss (5-2) in their first SEC matchup of the season. 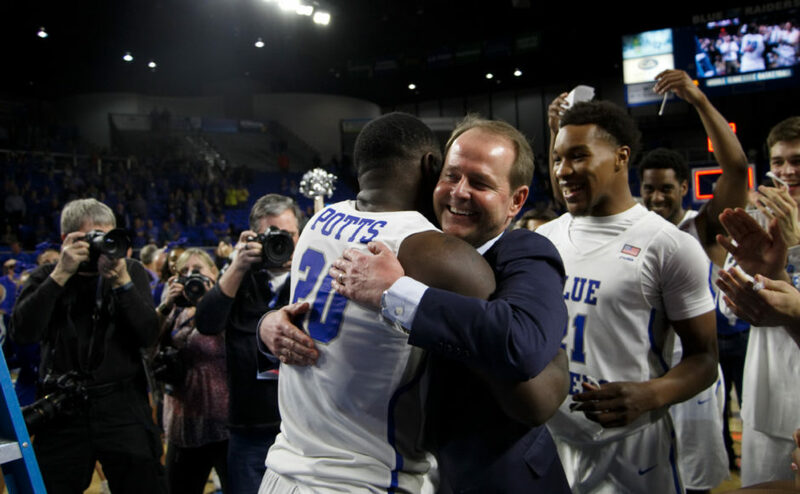 MTSU got off to a blazing hot start and never looked back, taking down the Rebels 77-62 on night where every Blue Raider that played scored a bucket. Middle Tennessee (7-1) came out firing on all cylinders. They led at halftime 48-19. They forced 14 turnovers in the first half, and shot over 80% from three point land led by Giddy Potts who went 4-of-5 from the arc through 20 minutes. The second half was much of the same. Ole Miss looked to be on the brink of a comeback attempt early but the deficit proved to be too much to overcome. Giddy Potts was the definition of efficient. The junior guard scored 20 points on only nine shots. He would go 7-of-9 from the field, including 4-6 on three pointers. Potts also tallied four assists and two rebounds. Reggie Upshaw also had a great night on the floor. Upshaw recorded a double-double with 15 points and 10 rebounds. He shot 60% from the floor, including 67% from behind the arc. The senior forward almost recorded a triple double, finishing with eight assists. 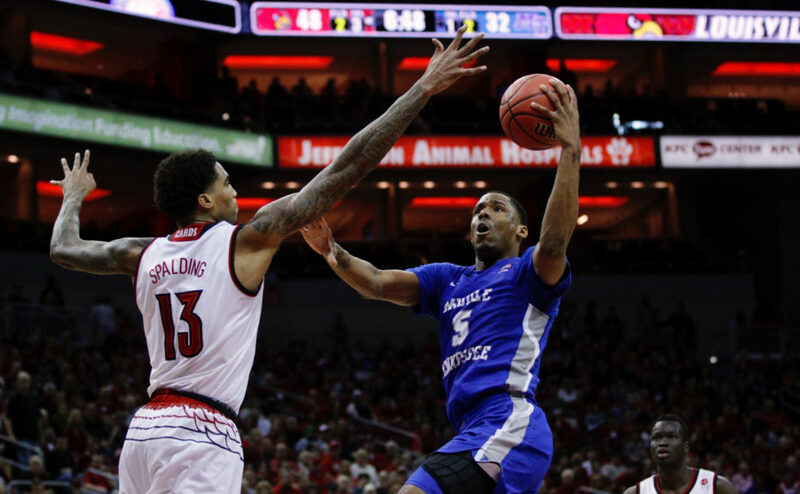 While Potts and Upshaw led the way, all nine MTSU players that checked into the game scored a basket. 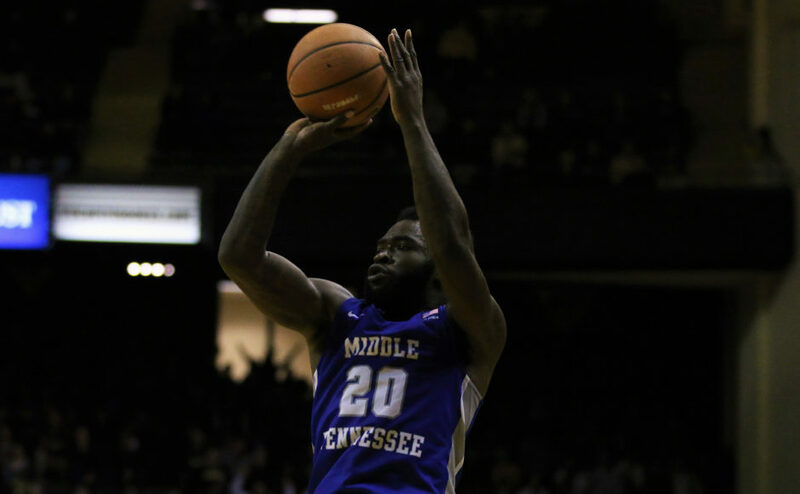 Middle Tennessee will continue their road stint as they travel to take on South Alabama this Saturday. The game is scheduled to begin at 7:05 pm. For more sports stories, follow us at www.mtsusidelines.com, on Facebook at MTSU Sidelines and on Twitter at @Sidelines_Sport. To contact Sports Editor Tyler Lamb (@Tlamb35), email sports@mtsusidelines.com.